Alarming report: Half of all Americans have diabetes — do you? A huge number of people in the United States have diabetes, and many don't even know it. A new study has found that about half of all adults in the United States have type 2 diabetes or prediabetes, and therefore many are probably unaware that they even have it. A new study published in the Journal of the American Medical Association by a team led by Catherine Cowie, program director at the U.S. National Institute of Diabetes and Digestive and Kidney Diseases in Bethesda, Md., dived deep into the prevalence of type 2 diabetes as well as undiagnosed diabetes, according to a HealthDay News report. The researchers used data from the U.S. National Health and Nutrition Examination Survey, where they found that 14.3 percent of adults had type 2 diabetes, but only 9.1 percent of them had been diagnosed. An additional 38 percent had prediabetes — 36.4 percent undiagnosed and 1.6 percent diagnosed. The breakdown between races was distinct, with blacks having diabetes 21.8 percent of the time versus just 11.3 percent among whites. Asians were high too at 20.6 percent, and Hispanics were the highest at 22.6 percent. All of the races and genders topped 30 percent when it came to prediabetes, with Asians having the highest at 50.9 percent and Hispanics close behind at 49 percent. The rate of obesity in the United States has doubled between 1980 and 2000, which led directly to a huge increase in type 2 diabetes. With obesity starting to stabilize, the prevalence of diabetes may be slowing down as well. 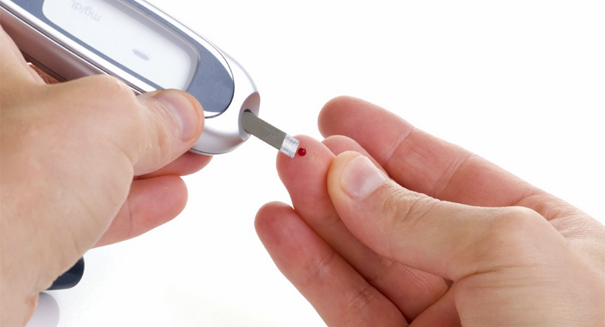 Diabetes is a metabolic disease that is characterized by high blood sugar levels that last over a long period of time. Symptoms include increased urination and hunger, and it often associated with obesity. Long-term problems include kidney failure, stroke, and foot ulcers.